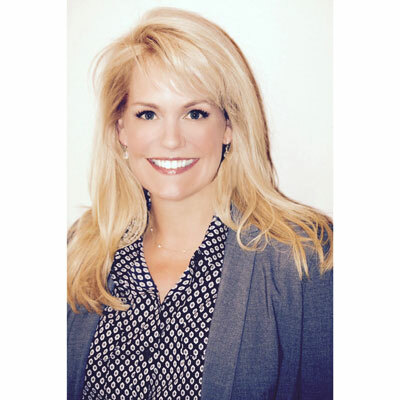 As the Senior Director of Logicalis' National Cisco Alliance, Renae Johnson is responsible for managing one of Logicalis' largest vendor partner relationships. Since joining Logicalis in 2014, Renae has been tasked with growing Logicalis' Cisco solutions, software and services on a national basis. Additionally, Renae holds responsibility for collaborating with Logicalis' LATAM and European country leaders to increase global Cisco sales opportunities. By 2017, Renae's involvement in this Cisco Global Commerce initiative proved instrumental in Logicalis' 2017 achievement of the Cisco Global Gold certification, a stringent partner certification that acknowledges a solution provider's expertise across all regions and geographies, authenticating the solution provider's ability to plan, design, implement and operate Cisco solutions without borders. To serve multi-national clients effectively, it's critical for Logicalis to provide consistency in the services and support we bring to global engagements. Together with other Logicalis employees - including Laura Vaupel who is also being nominated as a prospective WOTC - I helped secure Logicalis' Cisco Global Gold certification in late 2017, making Logicalis one of only six organizations worldwide to hold this elite certification. Earning this certification required an arduous audit of our global commerce readiness and hundreds of hours of preparation and organization, including many early mornings and late nights working across time zones. Achieving this milestone, however, demonstrated the seamless nature of our international business transactions, something which has resulted in new multi-million-dollar sales wins and RFPs. Earning the Cisco Global Gold certification proves that the hard work and dedication of our Cisco sales and support team has been recognized and validated both by Cisco and our own global customers. It also provides a reliable benchmark that tells prospective customers, when they choose Logicalis as their multi-national IT solution provider, they will receive unprecedented consistency and quality of work in every region of the world, something which makes their global projects significantly easier to manage and implement. In the coming year, we will continue to increase our global business by executing a Center of Excellence business model that will establish a group of international experts in each country who will ensure more products and services can be offered with the same quality and consistency worldwide. Our LifeCycle Adoption teams will continue to expand and renew software that will positively impact our customers' business solutions. And our Internet of Things (IoT) team will add additional Smart solutions and find ways to improve customer productivity by harnessing the power of data and analytics in innovative, yet secure ways. While not traditional awards, each of these milestones were very meaningful to me. As noted above, I was instrumental in helping Logicalis earn its Cisco Global Gold certification, a significant step in documenting the seamless nature of our international business transactions. We earned the certification in late 2017 and became one of only six solution providers worldwide to hold this elite designation. Additionally, as a co-founder of the Women of Logicalis (WOL), I've helped empower women through networking events and "Empower Hours" and a special "Girls in IT" event exposing high-risk, inner-city high school girls to career opportunities in IT. I admire Ellen DeGeneres. She exudes the word authenticity. When she had everything to lose, she let go, stayed true to herself and her values and refused to apologize for who she was. Laughter and love are the true denominators of humanity, and she demonstrates those qualities every day. Her kindness, love of humans and animals, and her genuine appreciation of all things funny never ceases to make my day better. Her sign off every day to be kind to one another is a reminder that we must all learn to love and be tolerant. Happiness is a choice. Write thank-you notes, recognize people who don't expect it, and be kind. Get a mentor. Understand quality - in things and in human beings. Life can be hard, so deal with issues straight on. Spend time in nature. Never stop learning. Be empathetic, honest, listen to both sides, and try not to judge. Be passionate and work hard and you'll never have to worry about money. Laughter and a good night's sleep cure most things. You don't have to attend every argument you're invited to. No one looks good in blue eye shadow or skinny jeans. I'd like to master healthcare IT. Logicalis has a strong healthcare practice, and once a year, a large hospital gives us full access to every level of their staff - CIO, charge nurses, etc. - so we can understand their workflows and, technologically, what's important to them in their individual roles. We're also allowed to attend surgeries infused with the latest technology so we can see it in action. With their specialized knowledge, our healthcare team impacts real peoples' lives; their work can do an amazing amount of good for the patients touched by Logicalis' healthcare IT solutions. The Hard Thing about Hard Things by Ben Horwitz. Horowitz is a Silicon Valley entrepreneur who offers practical advice on managing a business. He speaks in a very direct and honest manner on both the good and the bad decisions he has made. The book gave me reassurance that running a business and being a leader is not an easy task and to continue to trust my gut.